By Rudi Gall, Raumedic Inc. The idea of scrapping the use of polyvinylchloride (PVC) materials containing di(2-ethylhexyl)phthalate (DEHP) plasticizers is not new. 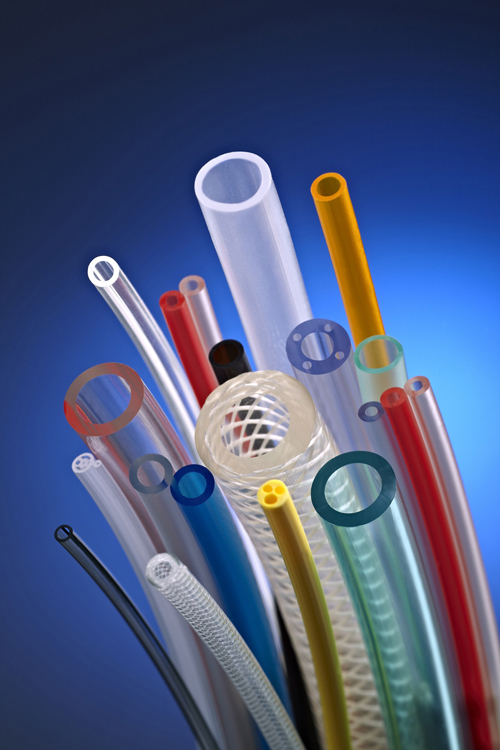 However, despite such endeavors, both PVC and DEHP plasticizer still abound in a variety of products, including garden hoses, building materials, toys, and such medical devices as, catheters, feeding tubes, and IV sets. In blood transfusion applications, DEHP-plasticized PVC is still the gold standard because the plasticizer helps to conserve blood components. In addition, because DEHP-plasticized PVC is easy to work with, bonds well to other polymers, offers such beneficial material properties as flexibility, and is less expensive than any other alternative material, it remains the material of choice for many industries and products. Why then go through the pain of replacing DEHP-plasticized PVC at all? First, it is important to differentiate between PVC and DEHP. PVC resins are available in the form of hard plastics. Plasticizers are added to them in order to achieve the desired flexibility. However, because plasticizers do not bond permanently with PVC, they can migrate to the surface of a product and into the surrounding environment--be it soil, waterways, or body tissue. For example, flow media such as the lipids found in enteral feeding solutions and blood can trigger plasticizer migration during transfusion or blood storage. Moreover, plasticizers constitute at least one-third of soft PVC compounds by weight, representing a significant portion of the overall compound. Samples of medical device tubing made from DEHP-plasticized PVC. The discussion on plasticizers found in the environment erupted in the 1980s when reports indicated that such endocrine-disrupting pesticides as DDT and dicofol had a negative impact on the birth rate of alligators in Florida's Lake Apopka. Following further investigations, it was assumed that DEHP was also an endocrine disruptor. Subsequent results of animal trials pointing to the toxicity of phthalate-based plasticizers and the associated threat of adverse effects on reproduction or development seemed to support this hypothesis, alerting authorities in Europe, the United States, and Japan. Consequently, the European Union (EU) classified DEHP under the category of carcinogens, mutagens, and reprotoxins (CMRs) and labeled it an endocrine-disrupting substance. The EU has issued a sunset date of February 2015 to terminate the use of DEHP for most applications. And while medical devices fall under the EU's Medical Device Directive, EU member states will be able to enforce much stricter laws, such as France's DEHP ban for neonatal applications and applications involving nursing mothers starting in July 2015. On the EU level, there are also calls to cease the use of CMRs and endocrine disruptors in all medical devices by 2026. In the United States, California voters passed Preposition 65 in 1986 requiring companies to clearly identify and label DEHP as a cause for concern. The Environmental Protection Agency also initiated an endocrine-disruptor screening program to review DEHP. However, while FDA has stated that it is not concerned about the continued use of PVC or DEHP in most medical devices, the fact that this discussion has raged unabated for years indicates that a regulatory change might be looming. While companies are on the lookout for an alternative to DEHP plasticizer or even PVC, economic reasoning and market pressures have created a high barrier for alternatives because DEHP-plasticized PVC is widely available and priced as a commodity. However, regulatory pressures mainly in Europe have put a new spin on this discussion as more and more plasticizer suppliers have changed their product portfolios by ceasing DEHP production. As a result, DEHP supplies have dwindled, at least in Europe, leading to price increases. Thus, the prices of alternatives have become more competitive. Such plasticizer alternatives to DEHP include di-2-ethylhexyl-terephtalate (DEHT), trioctyl trimellitate (TOTM), and 1,2-Cyclohexane dicarboxylic acid diisononyl ester (DINCH). Citrates such as acetyl tributyl citrate (ATBC) are also options. Also available are alternatives to PVC, including polypropylene blends and thermoplastics elastomers. However, while the performance of these compounds closely approaches that of PVC, they might require different design and manufacturing processes in order to be bonded to other substrates. Whatever material the medical device design engineer chooses to replace the use of DEHP or PVC, enlisting the support of a suitable manufacturing partner might be of benefit. However, the single-source provider must also have expertise with a variety of alternative materials because they behave differently from one another when they are extruded, molded, or processed in secondary operations. In addition, the partners must be familiar with the regulatory environment, which can affect the choice of materials and plasticizers used in future products. 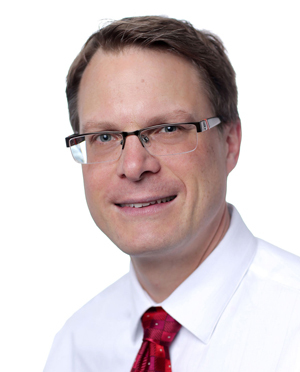 Rudi Gall is managing director of Raumedic Inc. (Leesburg, VA), a single-source provider of polymer components to medical device OEMs. He joined the company in 2004 to orchestrate its entry into the U.S. market. An expert in precision extrusion and molding applications, Gall has more than 15 years of sales, marketing, management, and product development experience with polymer components and systems. After receiving an MBA, he joined Rehau in 1998, first as an international controller and then as sales director for polymer hoses and tubing in Switzerland. Reach him at [email protected].